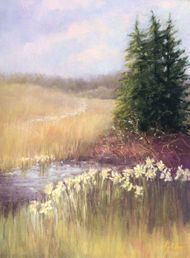 I am excited to learn that my pastel "Wetland Daffodils" was juried into the 2017 Great Lakes Pastel Society Members Exhibit at South Haven Center for the Arts in South Haven, MI. Only 49 works were accepted from 143 entries, I'm always happy to get into a show with such exceptional quality. Thank you juror, William Schneider for including my work in this exceptional exhibition! I'm thrilled to announce that my pastel, "Basking in the Light", was accepted into the Great Lakes Pastel Society National Exhibit, May 18-July 17, 2018 at the Holland Area Arts Council in Holland, MI. 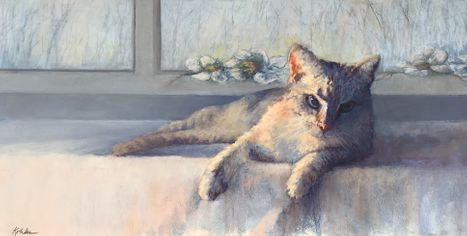 Competition was fierce, out of 213 entries, Nancy King Mertz (Nationally acclaimed Chicago artist) Juried in 57 entries. 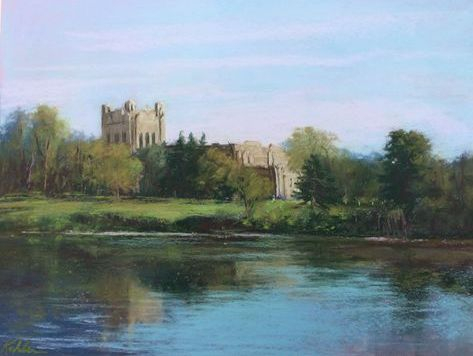 My pastel: "Reflection" received the Purchase Award from Brown & Brown, Inc. Out of 156 entries 87 were accepted into the exhibit. It's a pleasure to have your work juried into an exhibit and then to receive an award is an added bonus.